Fritz Kreisler: "Schön Rosmarin" & "Liebesleid"
This being many years ago, I cannot quite remember the exact details around the recording of this CD. It was - like "ex oriente cello" - originally planned to be released by ME-WE Meisterklang who went out of business in late 2001 or early 2002 and somehow I ended up with a computer (running on Windows 95!) with TripleDAT and the recording sessions on it. So I taught myself how to use that thing and did the editing to at least have a finished recording. When in 2002 for the etude project I renewed my relation with Musicaphon, Rainer Kahleyss decided that this CD would be following the Popper studies, which is why it took five years from recording to release. 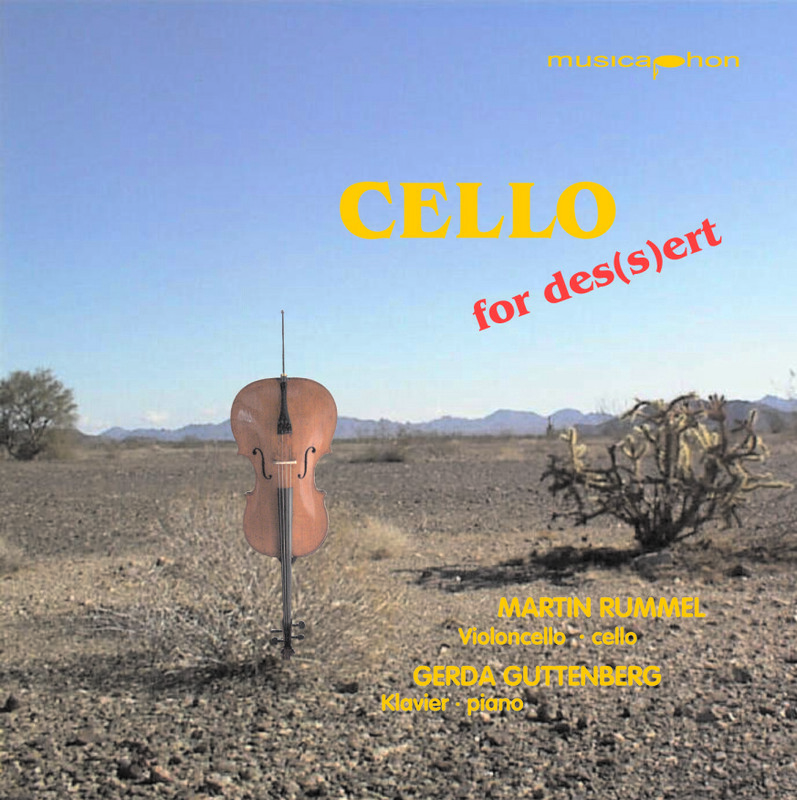 This CD is the first I made on the cello that I am still playing, less than a year after I first got it. I find it remarkable how different the instrument now sounds, probably for two reasons. First it had had a big restauration of more than a year's work after a few years of not being played. In retrospective, I think it took around three years until it was really back to its wonderful old self and a little bit of experimenting with setup and strings during that time. Second I had not yet found my personal sound on this cello, so I am today rather amused to hear what seems like an attempt to make this cello sound like the Goffriller that I had played before: dark and cloudy, which is exactly the opposite of the natural qualities of this instrument.